Jeff Bezos Responds To 'New York Times' Report On Amazon's Workplace : The Two-Way Amazon's CEO says in a memo to employees that "anyone working in a company that really is like the one described in the NYT would be crazy to stay." Amazon CEO Jeff Bezos appears at an event last year in Seattle for the launch of the new Amazon Fire Phone. Following a weekend New York Times feature that depicted an often harsh and unforgiving workplace culture at tech giant Amazon, CEO Jeff Bezos has responded in a memo to employees. Bezos encourages staffers to read the Times piece but states, "The article doesn't describe the Amazon I know or the caring Amazonians I work with every day." He later writes that "anyone working in a company that really is like the one described in the NYT would be crazy to stay." The Times article, which cited more than 100 current and former employees, describes a wildly successful but ruthless company where workers are encouraged to report each other to supervisors for transgressions such as "inflexibility and openly complaining about minor tasks." According to the article, employees are expected to answer emails well into the night and workers crying at their desks is not an uncommon sight. One former worker says Amazon fosters a culture that prioritizes the success of the company above all else. "She and other workers had no shortage of career options but said they had internalized Amazon's priorities. One ex-employee's fiancé became so concerned about her nonstop working night after night that he would drive to the Amazon campus at 10 p.m. and dial her cellphone until she agreed to come home. When they took a vacation to Florida, she spent every day at Starbucks using the wireless connection to get work done." "Here's why I'm writing you. The NYT article prominently features anecdotes describing shockingly callous management practices, including people being treated without empathy while enduring family tragedies and serious health problems. 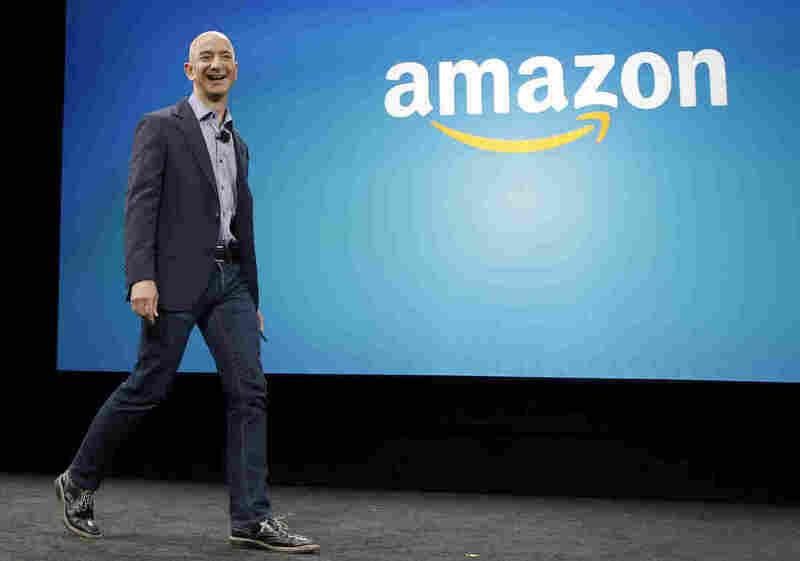 The article doesn't describe the Amazon I know or the caring Amazonians I work with every day. But if you know of any stories like those reported, I want you to escalate to HR. You can also email me directly at jeff@amazon.com. Even if it's rare or isolated, our tolerance for any such lack of empathy needs to be zero. "The article goes further than reporting isolated anecdotes. It claims that our intentional approach is to create a soulless, dystopian workplace where no fun is had and no laughter heard. Again, I don't recognize this Amazon and I very much hope you don't, either. More broadly, I don't think any company adopting the approach portrayed could survive, much less thrive, in today's highly competitive tech hiring market. The people we hire here are the best of the best. You are recruited every day by other world-class companies, and you can work anywhere you want. "But hopefully, you don't recognize the company described. Hopefully, you're having fun working with a bunch of brilliant teammates, helping invent the future, and laughing along the way.